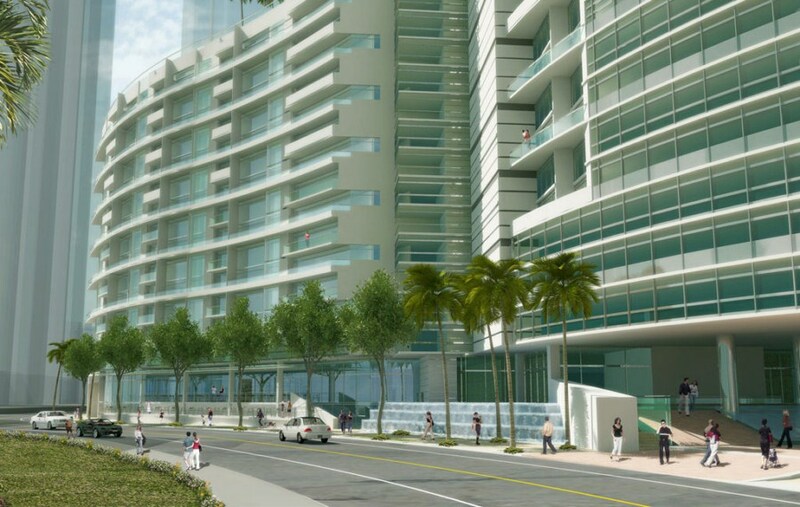 Panorama Tower, previously known as 1101 Brickell, is a mixed-use skyscraper under construction in the Brickell neighborhood of Miami, Florida. 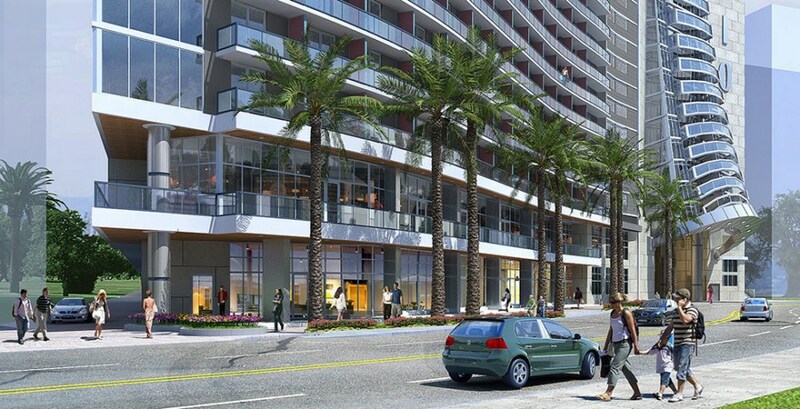 The project is being developed by Florida East Coast Realty. The project provides for the construction of the tallest residential building on the eastern seaboard south of New York, which will rise 82 stories above the Miami skyline. 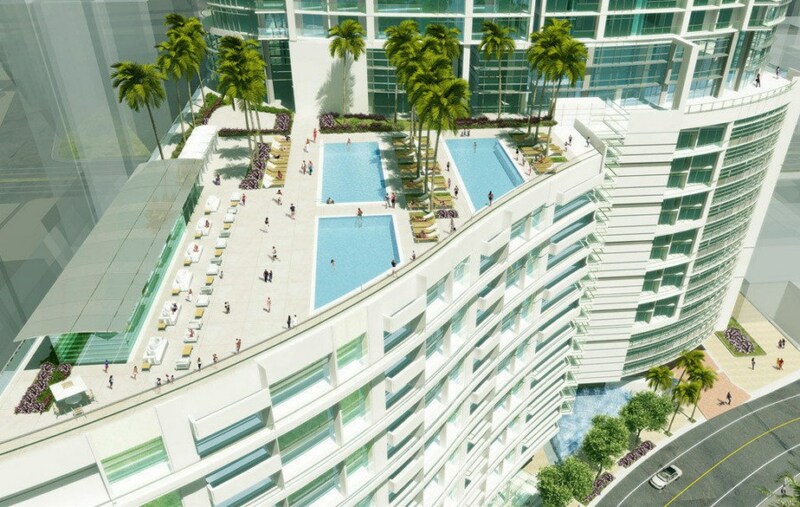 Panorama Tower is conveniently located on the largest parcel of property in the heart of the Brickell financial district, In total, the existing office towers, together with the new building, will feature around 3 million square feet of construction on the site. Panorama Tower will become the city's first designated development under the federal EB-5 program that grants green cards to foreign nationals that invest in U.S. commercial enterprises. The project is expected to create 1,300 construction jobs. The entire complex will have around 192 permanent management employees, 800 tenant employees, and 220 visiting students. Panorama Tower is scheduled for completion in 2017. The project is expected to cost more than $800 million. 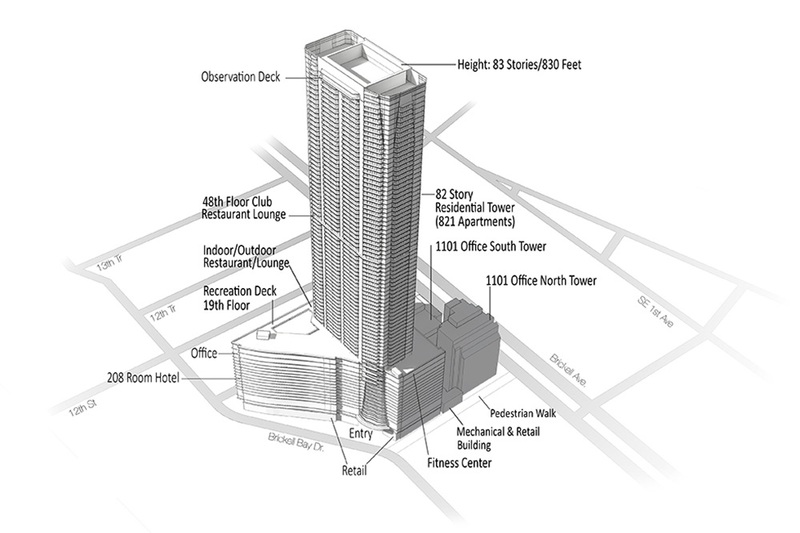 The 82-story tower will rise to 830 feet, featuring an incredible observation deck at the 830-foot level. 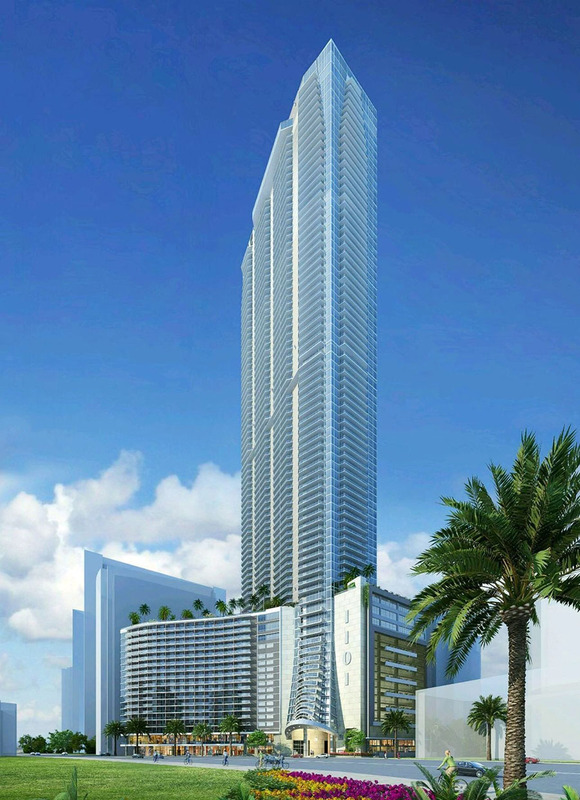 Panorama Tower’s 19-story pedestal will feature more than 100,000 square feet of medical office space with a teaching facility, a 2,000-car parking garage underneath the medical facility, a 208-room hotel, located to the east on Brickell Bay Drive, plus 50,000 square feet of high-end retail outlets and restaurant space. Directly on top of the pedestal will be the recreation deck. Above that will be a 64-story residential tower, featuring 821 luxury rental apartments. 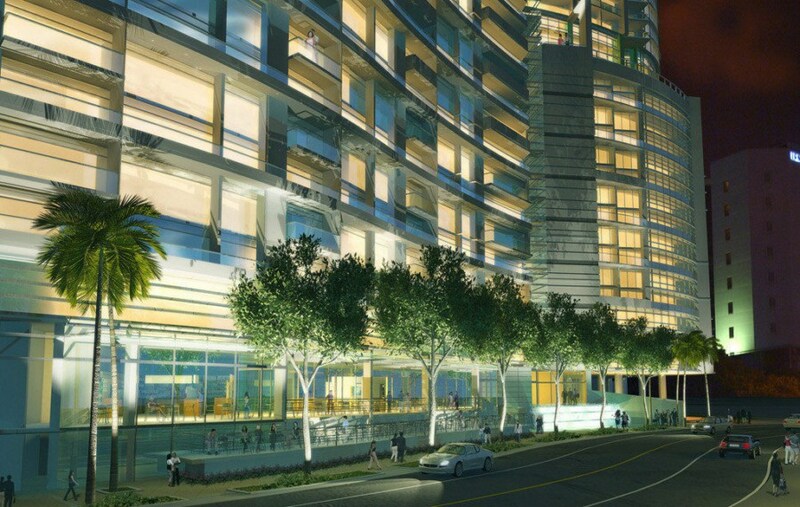 Residents of Panorama Tower will have easy access to major highways, public transportation, and a variety of dining, shopping and recreational options.